Join us! 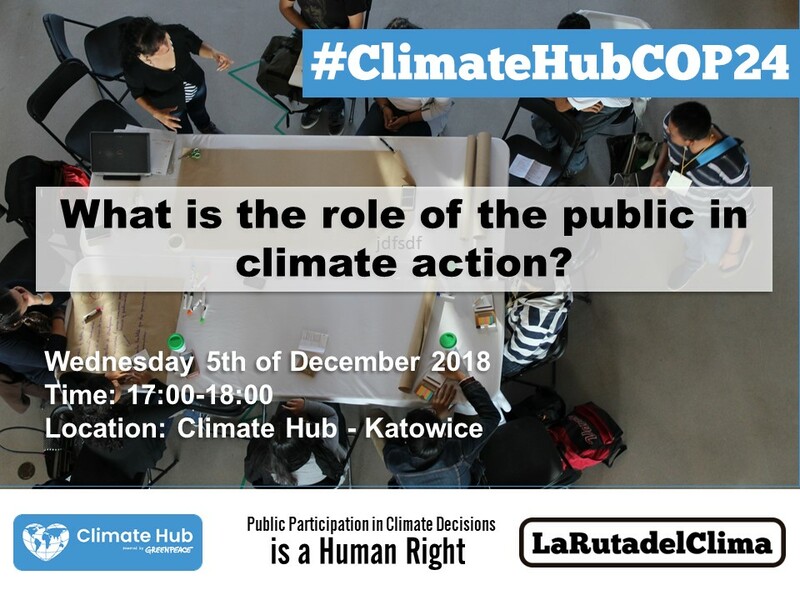 on Wednesday 5th of December at 5:00 pm in the Climate Hub – Katowice. This day we will be hosting the forum: What is the role of the public in climate action? 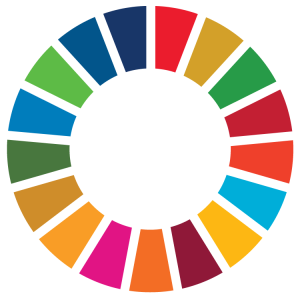 During the event, we will talk with the audience to explore together what are the challenges to the right of public participation in climate change decisions. Climate Hub – Katowice, Poland. The event will be held at the Climate Hub located at Klub Królestwo, Rondo im. gen. Jerzego Ziętka 1 as part of our activities during the Climate Change Conference COP24. The Climate Hub is a place to be for all progressive voices on climate. From December 1 to 14, in the heart of Katowice next to the COP24 venue, we are bringing together experts, decision makers and activists together with local and international audiences. The events programme is filled with talks, special guests and performances, and will engage its participants in a debate on the greatest challenge that we currently face – climate change. Scientists tell us clearly that we are running out of time to prevent the impending catastrophe, but they also give us hope: the crisis can be stopped and avoided as we have all the necessary tools to do this. The Climate Hub is a place for creative meetings, talks about changing the world and about just transition of economy that leaves no one behind. It is a place that inspires us to take action.